Darth Vader has become one of the most iconic villains in popular culture, and has been listed among the greatest villains and fictional characters ever- and now you can shower in his tears. Along with the release of another Star Wars film generally comes all sorts of marketing gimmicks, toys, video games and more. Now, Sci-Fi geeks can really get into the new movie by showering in Darth Vader’s tears, literally “washing away the Dark Side.” Or if you’re all about the Rebel Alliance, there’s always the R2-D2 model. Both shower heads come in three different spray settings. But, the Vader version is handheld – presumably so you can reach round to clean your dark side. 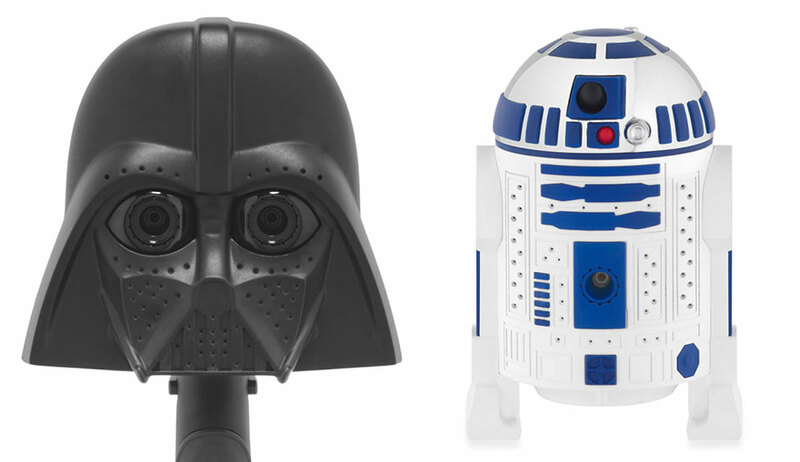 The Star Wars showerheads produced by Oxygenics and sold internationally by Bed, Bath & Beyond, are available in two different models: the Vader model sells for $30, while an R2 model retails for $25. Because bathing in a Sith Lord’s tears costs a little extra. The difference between the two, aside from the price and appearance, is that the lowest setting on the Darth Vader showerhead makes water run from the mask’s eye sockets, allowing you to bathe in Sith Lord remorse. It also includes a handle, leaving less of your bathing up to the Force. Each one comes with three different settings that promise to save you up to 85 USD per year. R2-D2, a small astromech droid, is a major character and appears in all Star Wars films to date. Throughout the course of the films, he is a friend to Padmé Amidala, Anakin Skywalker, Leia Organa, Luke Skywalker, and Obi-Wan Kenobi in various points in the saga. Now he can be your friend too, and make sure you clean behind your ears! 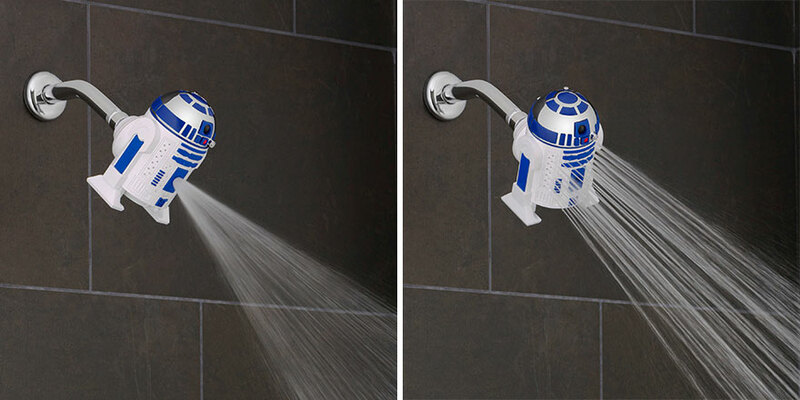 Despite maybe looking creepy to some people, we’re sure that true lifelong fans of Star Wars, and the newbie fans as well, will simply love these creative showerheads.